“Every report from a student should be processed perfectly, but even with information systems, things do fall through the cracks,” said Housing and Residential Life Associate Director, Jeff Plouffe. 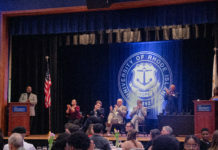 The University of Rhode Island is home to more than 6,000 students, spread out between 28 undergraduate residence halls and 3,200 dorm rooms – in which maintenance issues are inevitable. From leaks to heating issues, all the way down to burnt out lightbulbs, the work order process and information system put in place by Housing and Residential Life is meant notify Facility Services quickly and provide students with the services they need. This wasn’t the case unfortunately, for Heathman residents and sophomores Scott Brennan and Mike Ludwig who discovered early on this semester that their ceiling was leaking. Brennan and Ludwig had reported the issue right away and were told that they’d be put on urgent notice to get the issue fixed. The extra trash can they’d been provided in the meantime, however, did little to collect the brown water leaking from the ceiling from multiple stops. Since then they’ve had resident advisors fill out several work order requests but had not seen the issue resolved. Brennan moved his desk in place of where his bed used to be to avoid further stains on his bedding. When the Cigar spoke with Brennan last week, large down stains were visible on both the desk and the floor beside it. “I’m mostly just annoyed because I can’t really use my desk,” Brennan said. He said he’s tried to scrub out the dark brown stains with no success. Insead, he’s been doing all his homework in his bed. 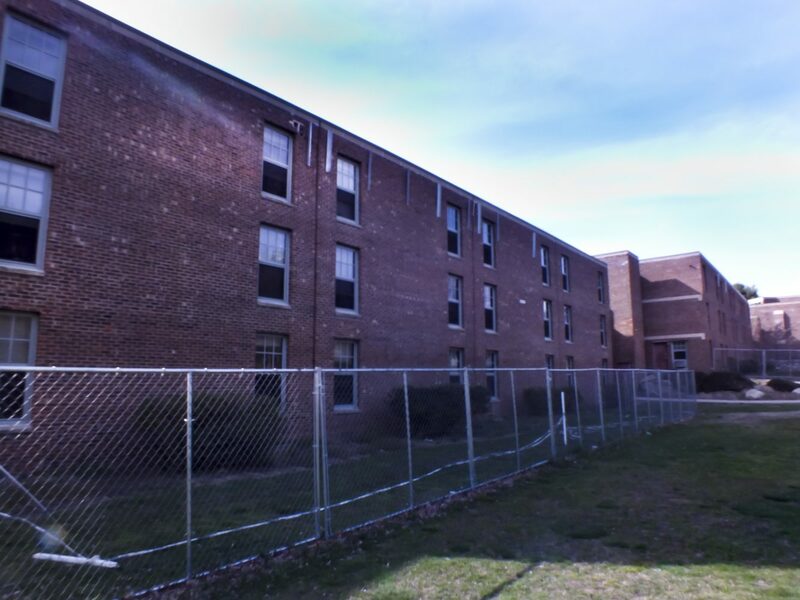 A similar leak issue happened across the hall from Brennan and Ludwig, according to Plouffe, but Facility Services found that a idle shower exhaust fan was to blame. Once the exhaust fan was fully operational again, condensation was no longer building up in the bathroom. Sophomore Gabby Lorusso, who lives across the hall, said the ‘leak’ was fixed right away. “We just had a little one, but they came in and it’s been fine ever since,” she said. Since May of 2016, Plouffe said there have been 31 reports of leaks, all but two of which have been resolved. Brennan and Ludwig’s room was not included in this total, however. When the Cigar reached out to Housing and Residential Life about this, Plouffe moved quickly to amend the issue. While still sitting for the interview, Plouffe sent Facilities Services Construction Manager Seth Pillote to Heathman Hall. Later on in the interview, Pillote called back confirming the roof leak and laid out plans out plans to immediately contact the best commercial roofer – Apollo Roofing. Plouffe believes that this quick response is needed every situation and can’t be restricted to normal working hours. Housing and Residential Life works to prevent maintenance issues by taking proper care of the residence halls throughout the year, from ensuring all windows are properly closed before the start of winter break to prevent pipes from freezing, to replacing and updating the halls before issues asire. Over the next 20 years, Plouffe said all of the existing asphalt roofs will be replaced by commercial roofers in Charleston sc with more durable rubber membrane roofs. This summer, the roofs of Aldrich, Burnside and possibly Adams will all be redone with this rubber membrane, according to Plouffe. The plan is to do several resident halls each summer. Also, this summer, the top seven rows of brick veneer outside Heathman will also be replaced. At the start of the academic year, students and staff realized that the brick the facade was on a bit of a tilt, coming towards the building. Further investigation revealed that water penetrated the flashing, loosening the bricks. “Out of an abundance of caution,” Plouffe said. Fencing went up around the front of the building in September to prevent anyone from being hurt. In Brennan and Ludwig’s case specifically, neither they, Plouffe or any other involved parties could provide an update on the roof issue. Plouffe said on Thursday, however, that the issue would be resolved later that day. Ultimately, he said he was disappointed that the issue went unresolved for so long, but he was happy to see how quickly Facility Services worked to resolve the issue. “Our goal is to not let these things slip through,” Plouffe said.